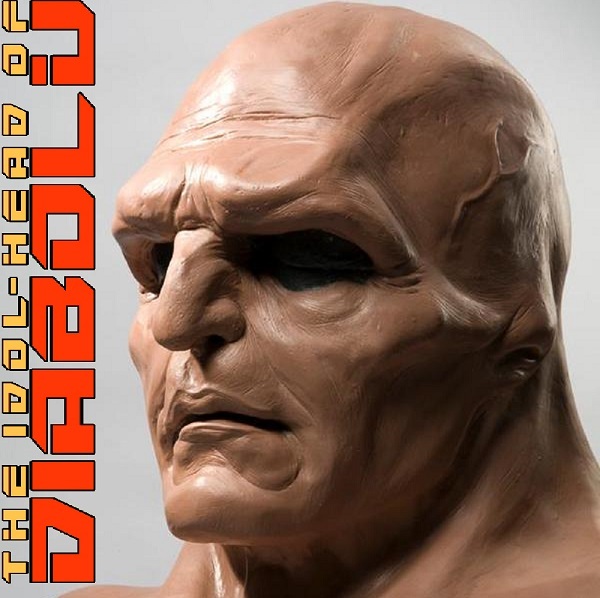 Probably my favorite of the fan pieces from the SDCC convention booklet/program's lengthy observation of the Martian Manhunter's fiftieth anniversary was this faux ad for J'onn J'onzz Play-Doh. 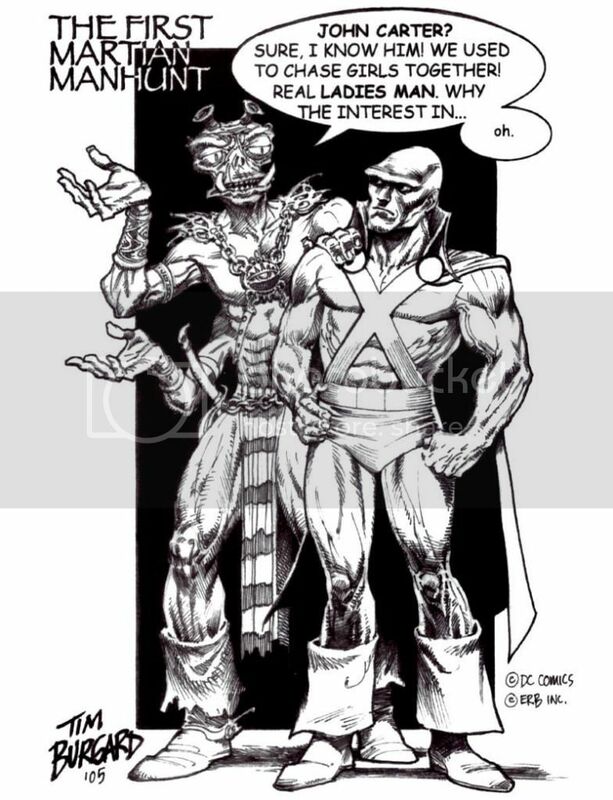 A minor Leaguer to the Baby Boomers and left behind throughout the Bronze Age, the Alien Atlas missed out on a ton of Generation X junk culture milestones, but this nifty piece salves that wound considerable for fans like myself. A brief discussion of the unproduced JLA movie from the late aughts and a planned documentary chronicling its ill-fated course. There were a number of such anniversaries highlighted in the SDCC convention book, but I'd say these two and Krypto were the most legit. Lil' Archie was just the proto-Muppet Babies of Riverdale, but got four pages of art and articles. The New Teen Titans turned 25, meaning they were neither new nor teen, and were only a revamped line-up of a property that debuted in 1964. Adding to the dissonance of devoting 16 pages of art to a questionable landmark was the tendency to showcase designs from the Teen Titans cartoon, then only a couple of years old. A decade of David Lapham's Stray Bullets earned two pages. 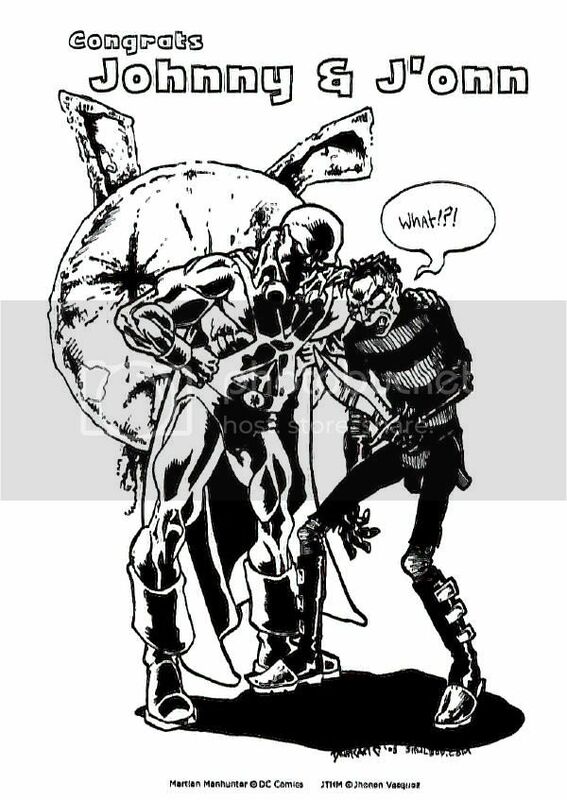 JTHM got a two page article and thirteen pages of fan art, with the last quarter page (108) featuring the Manhunter guest appearance above. While The Spirit turned 65, his 19 page section was centered on the passing of his creator, Will Eisner. John Jones would have made for a good team-up partner in theory, but probably not in the diminished spirit of the proceedings. Tim Burgard is a Hollywood storyboard artist who has worked on such notable geek fare as Batman & Robin, X-Men: The Last Stand, The Incredible Hulk, X-Men Origins: Wolverine, Thor, Green Lantern and Rise of the Planet of the Apes, which is just the tip of the iceberg on his IMDb page. 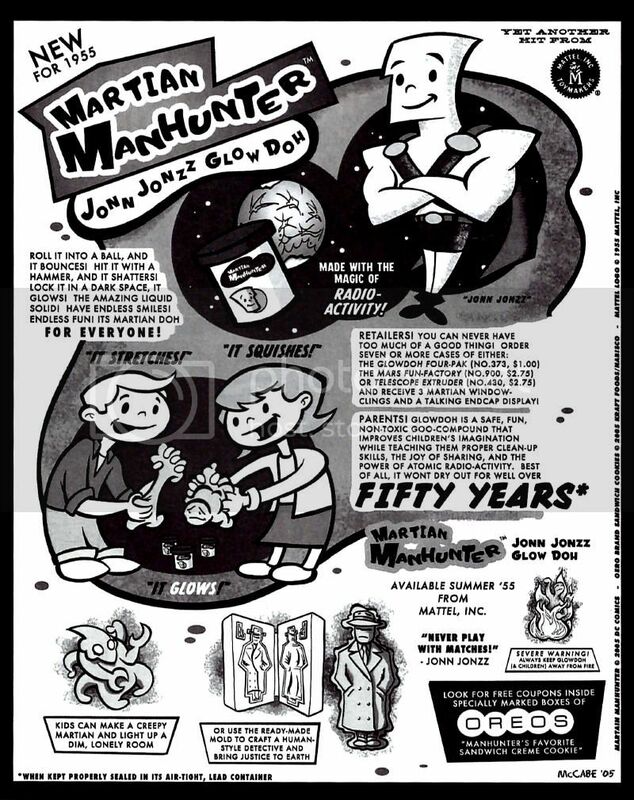 “The First Martian Manhunt” was his contribution to the SDCC program book's celebration of the Alien Atlas' 50th anniversary, complete with guest appearance by Edgar Rice Burroughs' Tars Tarkas. Burgard got his start in comics on Roy Thomas' Earth-Two books of the '80s, which might explain this random combination of J'onn J'onzz and Green Lantern Alan Scott for an unknown project.